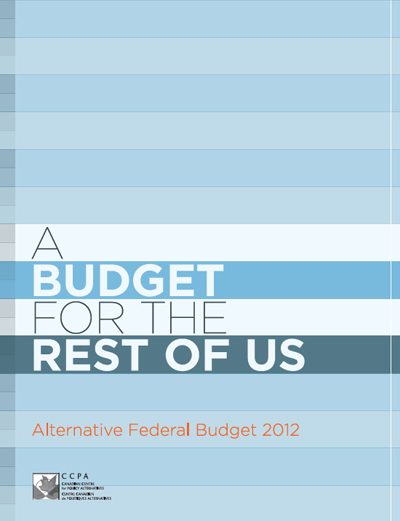 Click above to download the full 156-page Alternative Budget 2012. 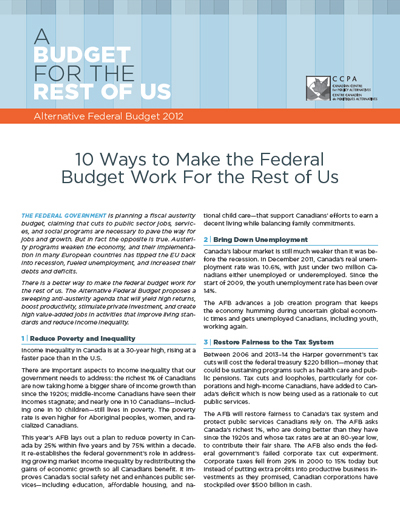 Click above for the top 10 ways to make the Federal budget work for us. 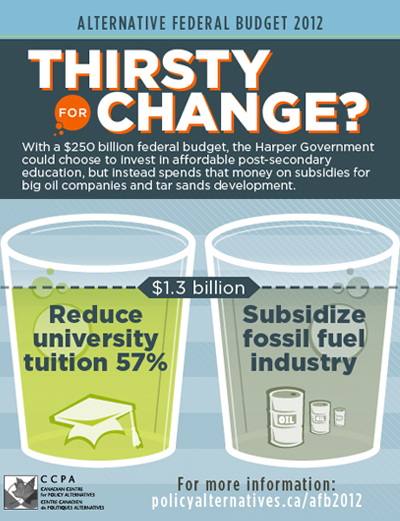 Click above for our series of infographics on the government's budget choices. OTTAWA—The Canadian Centre for Policy Alternatives (CCPA) urges the federal government to table a detailed budget that restores Canadians’ trust in the economy, public institutions, and democracy.